3 Shelf Mechanic and Workshop Rolling Cart - Perfect for Garage Too! The MC-3 is the perfect light duty but robust 3 shelf mechanic cart, with tons of nooks and crannies to store all your tools that you will need on hand for any job. Ideal for simplifying the modern garage or workshop. 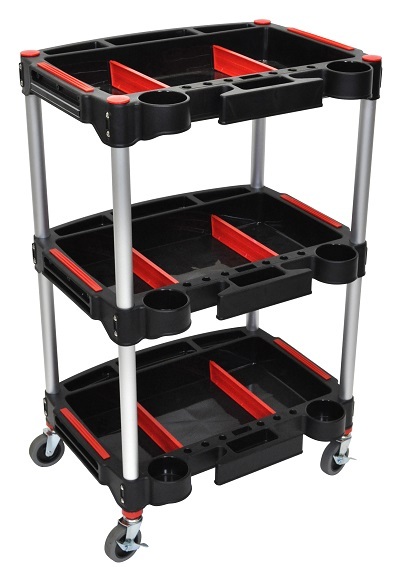 With 4″ casters, two with locking brakes, you receive a mobile storage device with a built-in home for most common tools. Two cup-holders on each shelf can hold bottles for cleaning and maintenance. Each shelf has two dividers that allow you to easily separate tools, while small compartments in the rear hold small parts. 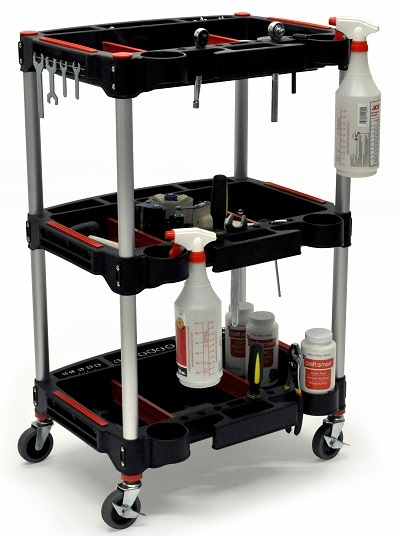 Clear up the clutter of your workplace today with the Mechanics Three-Shelf Cart. Also available with 2 shelves.